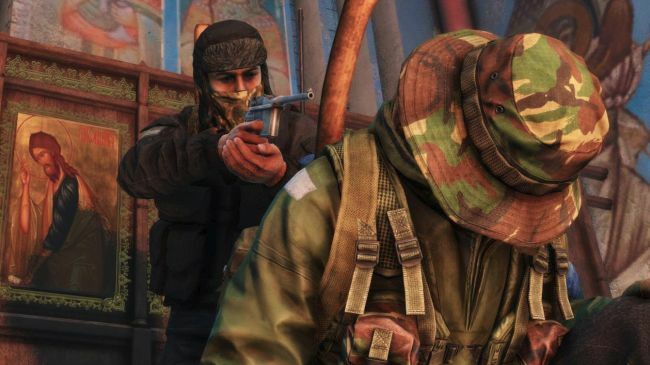 DayZ creative director Brian Hicks, who recently soothed Chris' concerns about the addition of a sprint meter, has announced that he is leaving Bohemia Interactive. Hicks said in a farewell message that he's excited for the release of the .63 update, but he also believes that the game has reached a point where he is "no longer needed." "For the last year, I have been slowly taking more and more of a back seat (as I'm sure some of you have noticed) and tried to push folks like Peter, Adam, and others to let their voice be heard. Over that year I have made plans for what is next for me and worked for free with Peter Nespešný in a design consultant role," Hicks wrote. "I won't lie—it hasn't been easy, and there have been times where Peter and I both were uncertain about how .63 would be received, or how it would perform under full-scale load. I don't want to be a broken record—but I am so happy that all of those concerns have been washed away." Hicks compared his departure with that of Dean Hall, the creator of the original DayZ mod for Arma 2, who expressed similar sentiments about his own departure from Bohemia in 2014. "I'm really good at risk-taking and making other people take risks, I've always been good at that in my life," Hall explained at the time. "Eventually, that's the bad person to have." The loss of Hicks is big, but as he suggested, it sounds like DayZ is coming together well. Lead producer Eugen Harton said recent stress testing of the .63 build "has been a step in the right direction," although he added that a lot of work remains to be done. The next round of stress testing hasn't been scheduled yet, but DayZ remains slated for a full release sometime this year.